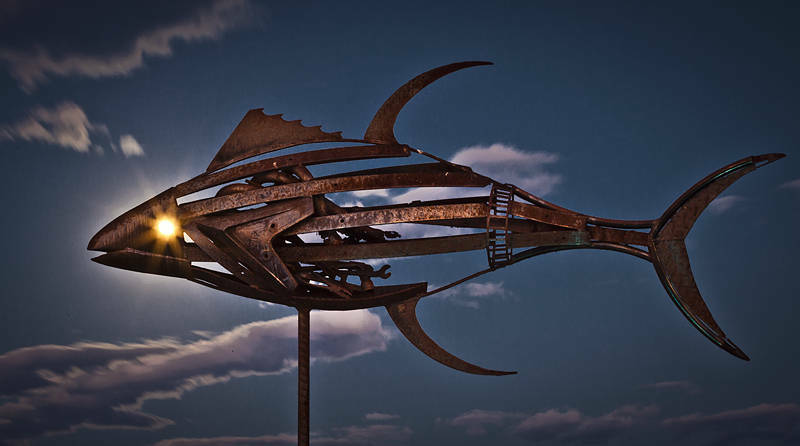 This is one of six metal fish in Harley Park, Labrador, Queensland, Australia. I chose this spot to photograph last nights supermoon so I could experiment silhouetting the sculptures. I the event there was enough light to illuminate the fish and bring out the rust colours.